Come and stay where history and hospitality go hand in hand. Come and stay at The Columbine Bed and Breakfast in Louisville, Kentucky. 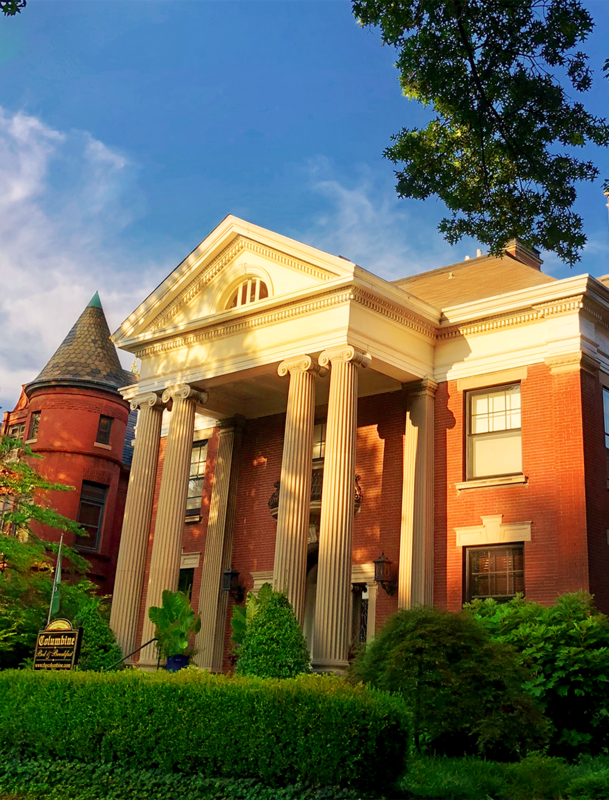 Situated in the heart of Old Louisville, we serve as a hotel alternative and provide an unforgettable experience to those both young and old. Built-in 1896 and restored in 1994, we provide an historic experience with modern amenities. Come and stay with us in one of our six unique rooms, each historically preserved and renovated. We are conveniently located to all of the major attractions and events in Louisville. Enjoy local museums, theaters, and other numerous attractions - all just minutes away. A short drive out of the city and you can easily visit the distilleries on the very popular Bourbon Trail. Make your reservation today for an unforgettable trip! Parents and prospective students will be happy to learn that was are less than two blocks from the University of Louisville. You can walk to campus in 5 minutes! This was one of the best Bed and Breakfast experiences I've ever had. The host was great, the room was great, and the house was gorgeous. The Columbine itself is magnificent and beautiful. Very clean and beautifully appointed. This is the place to stay in Louisville. This house is a dream come true. It has so much history and (...) great and interesting hosts. Rooms are gorgeous, breakfast is over-delicious and everything is so clean and neat. "The feeling of being welcomed, along with the beautiful inn itself definitely made this a vacation to remember. I'll be back." "Only a 90-minute drive from Indianapolis to an absolutely perfect get-away weekend." "We were thrilled with the beautiful accommodations and the delicious breakfast." "The rooms are charming. Rich and Bob provide a very relaxing, comfortable atmosphere and encouraged us to feel at home." Choose from six beautiful guest rooms in our bed and breakfast. Each is professionally decorated with antiques and reproductions. Unwind with four-poster canopy beds, 12.5 ft. ceilings, and original hardwood floors, all conveniently located in historic Louisville, Kentucky. We are conveniently located within minutes from most of the major attractions and events here in Louisville. However, please don't forget that you are staying in one of the largest and best preserved Victorian neighborhoods in America! There are self-guided walking tours available that allow you to stroll past some of the most spectacular mansions you will ever see! Not only that, but enjoy the Urban Bourbon Trail, the most popular attraction in Louisville, Kentucky.